There was a brickworks on this site by the 1870's when it was in the hands of William Bowers. Later owners included Henry Warrington when the Berry Hill Brickworks was one of the four substantial works in Stoke-on-Trent at the beginning of the 20th century. . In the 1960's it was still in operation and belonged to the Berry Hill Brickworks Ltd. who also owned the Clanway Brickworks in Tunstall. In the 1920's the berry Hill Brickworks was the largest of its kind in North Staffordshire. 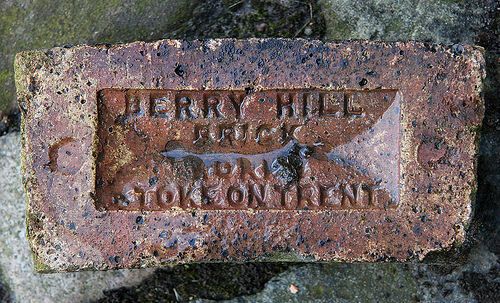 The Berry Hill Brickworks was situated adjacent to Berry Hill Colliery between Fenton and Hanley in North Staffordshire. 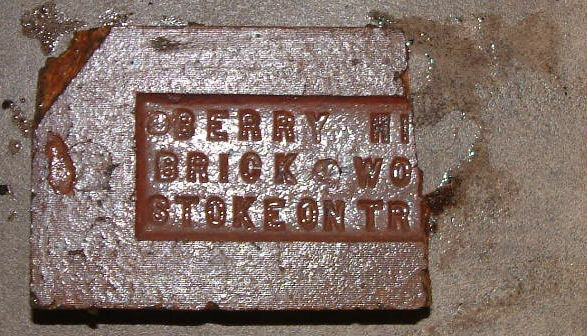 By the 1870s bricks were being manufactured by the colliery owner William Bowers and production continued into the 1970s in the hands of Berry Hill Brickworks Ltd. 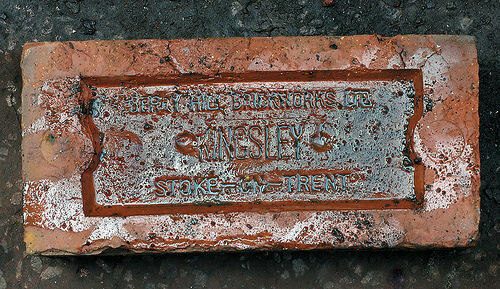 This particular example was manufactured at Kingsley near Cheadle (Staffs) at a brickworks absorbed by the Berry Hill company. Wiliam Bowers was making bricks at his Berry Hill Collieries in the early 1870's and on his death the business passed to Henry Warrington and Son. By the 1920's ownership was with Berry Hill Collieries Ltd and the works were very extensive. After nationalisation of the coal industry Berry Hill Brickworks Ltd was founded and in the 1960's was operating from four different locations.